The Shatwell family are known to have lived in Bollington for more than 750 years! They are almost certainly the longest surviving family in the area having been noted here since about 1250. The pictures show Elizabeth Shatwell and her husband, James Randle. 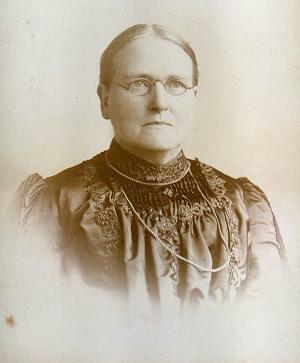 Elizabeth was born on 1st March 1849 in Bollington. James was born 6th January 1846 in Bridgwater, Somerset. They were married in St. John’s Church, Bollington, on 13th March 1870. They had nine children and some descendants are now living in the Widnes area and others at Centereach, New York, USA. See the Shatwell family tree. The picture would have been taken in the late 19thC. I am indebted to Ken & Christina Welsh, nee Randle, for sending these lovely pictures and the history details. 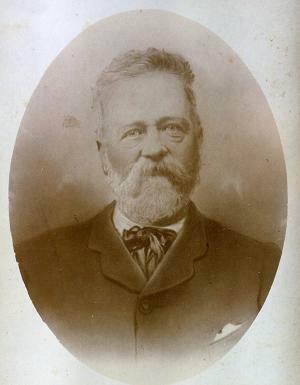 Many members of the Shatwell/Shatwall family are listed in the Bollington family tree.